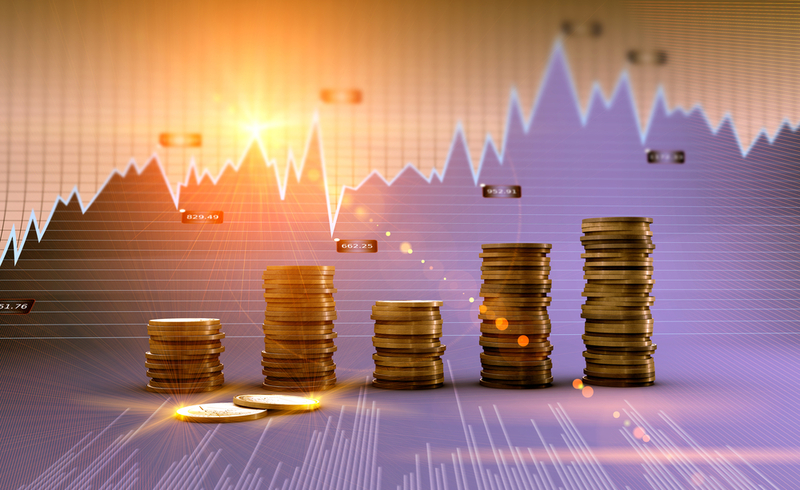 A Canadian precious metals mining company recently announced its newest acquisition, as well as 2018 drilling plans for its other major projects. 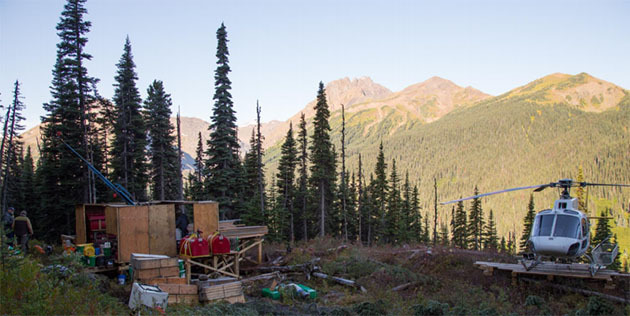 Golden Ridge Resources Ltd. (GLDN:TSX.V), a precious metals explorer located in Canada,has announced its newest acquisition of a gold project in British Columbia. Before diving into that, let's take a quick recap of its current developing projects. 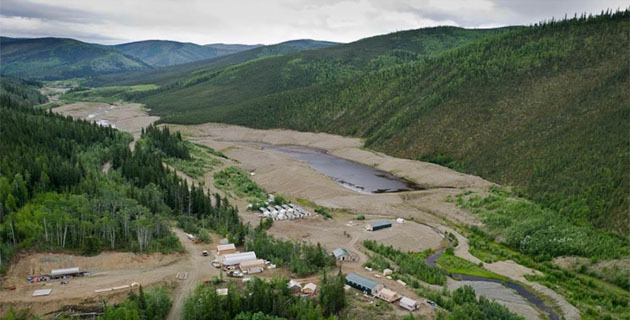 One of Golden Ridge Resources' biggest projects is located right in the Golden Triangle in British Columbia. This area includes some of the highest-grade metals in the world. Golden Ridge's Chair Larry Nagy was part of the discovery team at both the Eskay Creek, Canada's highest-grade gold mine, and Snip, another high-grade mine in the Golden Triangle. In October 2017, a Streetwise Reports article noted, "the company has an option to earn 100% interest in the Hank gold-silver-copper property in the Golden Triangle in northern British Columbia. 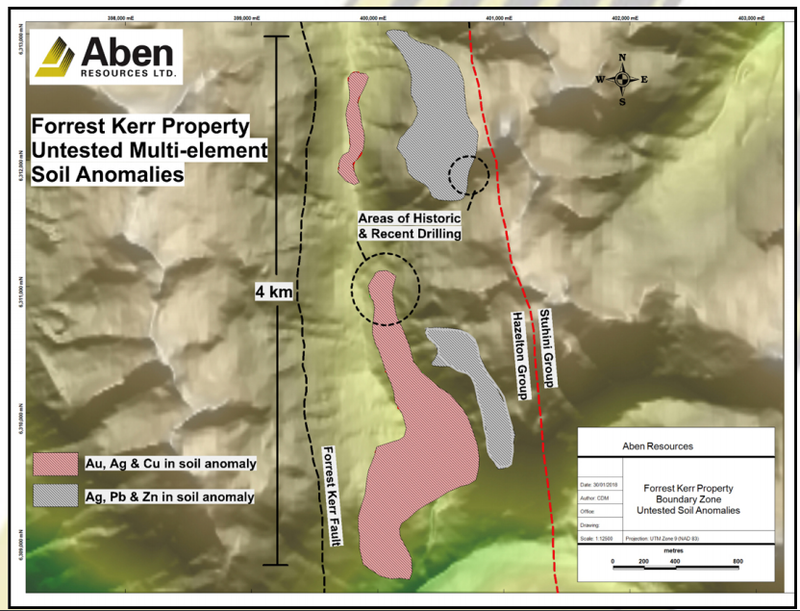 This area is home to large deposits, such as Pretium's Brucejack and Seabridge Gold's KSM project." The company shared its 2017 drilling highlights for the project, which included one section that "intersected a buried intrusion with a mineralized contact zone grading 7.04g/t AuEq over 21.62m. The intrusion likely represents one of several causative mineralizing intrusions at depth." Golden Ridge also came across an anomaly in the Williams Zone section of the Hank property. The company stated, "hand trenching and stripping of a copper-in-soil anomaly in 2017 resulted in a significant new alkalic porphyry Cu-Au." 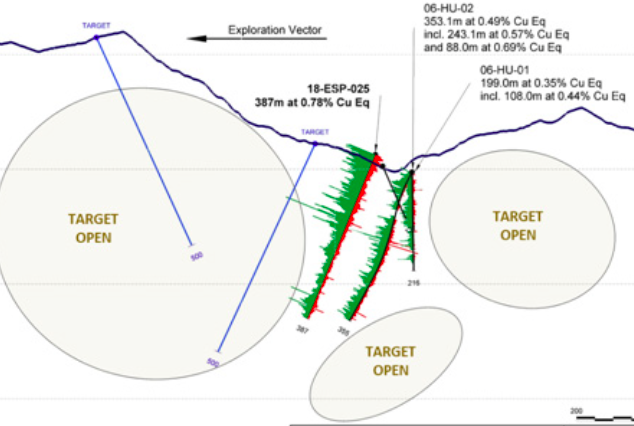 Management believes it has found the center (400-meter-diameter bullseye) of a porphyry copper system right in the Williams Zone. In late 2017, the company did construct a drilling pad on the Williams Zone. Due to low seasonal stream flow, however, Golden Ridge postponed drilling until the summer of this year. Depending on the initial results, "up to 15 additional drill pads may be utilized to delineate the entire magnetic anomaly." For 2018, Golden Ridge plans to drill over 8,000 meters on five highly prospective targets on the Hank project. 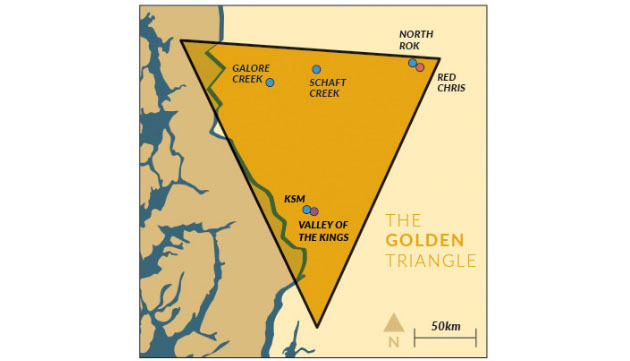 On April 25, Golden Ridge announced that it signed an option agreement whereby it can acquire 100% of the Royalle property located in Bralorne, "British Columbia's most prolific gold mining camp." The complete acquisition is contingent upon Golden Ridge "issuing 480,000 common shares and $160,000 in cash to the property vendors and by incurring exploration work on the property of $580,000 over the term of the agreement [four years]." "It's a project that we can work all year around," said Mike Blady, president, CEO and director of Golden Ridge. For fall 2018, the company plans to test targets hidden beneath alluvial valley cover, giving the company year-round drilling-related news flow. Mike Blady also added, "Recent geophysical surveys have confirmed that the regional structures responsible for gold mineralization at the Bralorne mine (produced >4.15M ounces of Au) continue onto the property." Not only is Golden Ridge acquiring deals, but it's also optioning them out. Golden Ridge recently optioned out its 13,200 Ha. North Canol Ag-Pb-Zn property to Fireweed Zinc Ltd. for an aggregate of $500,000 cash and 450,000 common shares. Golden Ridge initially acquired this silver, lead, and zinc project in 2011. The project was re-evaluated again in 2017, finding highly anomalous cobalt values (up to 960 pmm), according to Golden Ridge's April 2017 corporate presentation. Clive Maund rated Golden Ridge stock as a "sleeper" in March. Looking at the stock's performance over an 8-year period, he argued that the stock traded at much higher prices in the past. 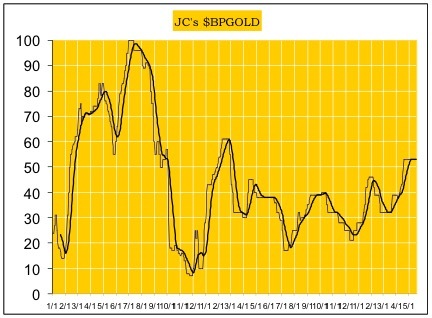 "Golden Ridge is an attractive gold�silver speculative play here, that has the potential to take off higher suddenly on positive drill results. . .it is very difficult to predict exactly when it will take off higher, although January's drilling results do suggest that it could be sooner rather than later"
The company says it's extremely undervalued relative to peers, trading at a current market cap of only $10.27 million (May 15, 2018 closing price), with approximately $4 million in cash in the treasury. 2) The following companies mentioned in this article are billboard sponsors of Streetwise Reports: Pretium Resources and Seabridge Gold. Click here for important disclosures about sponsor fees. As of the date of this article, an affiliate of Streetwise Reports has a consulting relationship with Golden Ridge. Please click here for more information. 5) From time to time, Streetwise Reports LLC and its directors, officers, employees or members of their families, as well as persons interviewed for articles and interviews on the site, may have a long or short position in securities mentioned. Directors, officers, employees or members of their immediate families are prohibited from making purchases and/or sales of those securities in the open market or otherwise from the time of the interview or the decision to write an article, until one week after the publication of the interview or article. As of the date of this article, officers and/or employees of Streetwise Reports LLC (including members of their household) own securities of Golden Ridge, a company mentioned in this article. Money manager Adrian Day reviews updates at three companies, including a rejected takeover bid. Bob Moriarty of 321 Gold discusses a Canadian explorer with a project in the Yukon he is putting his money on. Peter Epstein of Epstein Research makes the case for a South American copper project with what he views as excellent mineralization that is open at depth and in all directions. CIBC reported on this Canadian company's latest business deal. Calling it "one of the hottest exploration regions in Canada," Thibaut Lepouttre of Caesars Report describes how one company is preparing for the short summer exploration season. 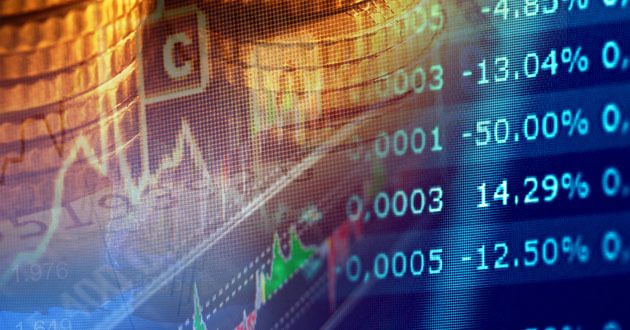 Technical analyst Clive Maund looks at gold, silver and the dollar after reviewing the latest COT Charts. Technical analyst Clive Maund takes a look at miners working in British Columbia's Golden Triangle. Wrapping up its winter drill program, holes on this company's property in the Northwest Territories included discovery of visible gold.